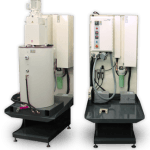 The Model 55 IGT Series wax injector is a C-Frame hydraulic press designed specifically for Industrial Gas Turbine products. The machine is available in 50 and 100 ton clamping forces. The C-Frame clamping unit is the most ergonomic for the operator, providing unobstructed access to their work area. 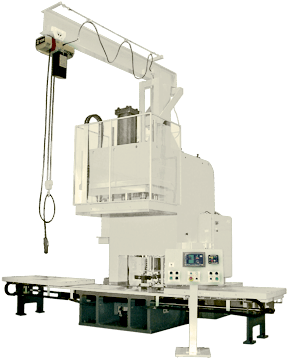 The unique frame design allows the operator to remove large patterns without having to climb onto the machine. 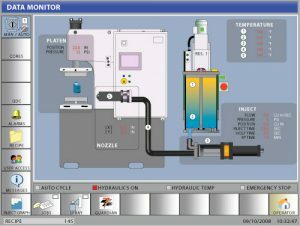 Smart Controls™- Process control, with real time injection graphing. Motor driven x-y-z nozzle positioning allows for nozzle alignment with any die design.